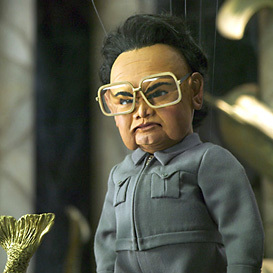 Kim Jong-il is likely not too pleased with his countries recent draw in the 2010 World Cup in South Africa. Not only does the North Korean squad have to play against the likes of Brazil, but throw in the Ivory Coast and Portugal with the final spot just to add insult to injury. Kim Jong-il is not only displeased with the result… I am sure right now he is inviting Charlize Theron to a nice dinner at his underground lair filled with glass water tanks full of starved sharks with laser beams on their foreheads. And can you blame old Kim Jonger for being so upset? I mean come one people! Brazil, Portugal, and the Ivory coast. Lets break this down. 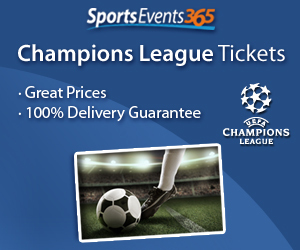 Not only does the supposed fourth seeded team have one of the best footballers in the world, but most critics would consider Portugal to be one of the top ten strongest teams in the Cup. Then you add an Ivory Coast team led by Didier Drogba (maybe the best Premier League striker for Chelsea) and it looks like North Korea will struggle to achieve a single point in the Cup. Not to mention we haven’t even named the squad for Brazil yet. With Luis Fabiano, Kaka, Pato, Diego, and many other missile launchers North Korea will be lucky to have a goal differential of -5 goals. And that is the way the cookie crumbles sometimes. France (who arguably doesn’t even deserve to be in the Cup) got the perfect break and fell right into that first group with hosting nation South Africa. But North Korea will have no such luck this year and it appears that their bad draw was inevitable.